Our F320 Friction Feeders are now also available in the inox steel model, intended for those sectors that need total lack of toxical or unhealthy elements, as frequently required by food and pharmaceutical industries. 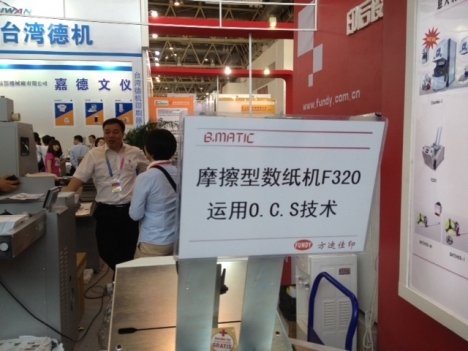 F320 Counter S "VISION", the B.MATIC friction feeder, has finally come back with an amazing improvement! 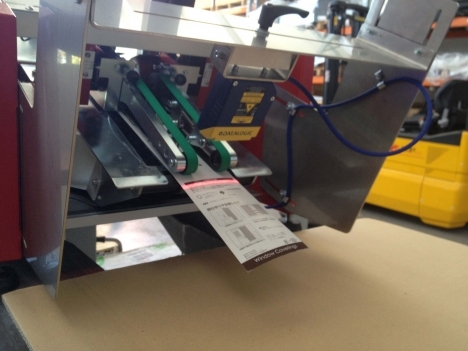 Beside the novelties involving the whole F320 line (new OCS technology, improved capacity of the sheet container), the most important "VISION" enhancement certainly is the new bar codes reader, working on 2D DATALOGIC, which allows you to read either standard or datamatrix bar codes, even at a very high speed. Get the complete description browsing the "Products" section of our site. Due to the continuous upgrading of its production and its innovative technical solutions, B.MATIC could not miss one of the foremost international events concerning the Graphic Arts Industry! 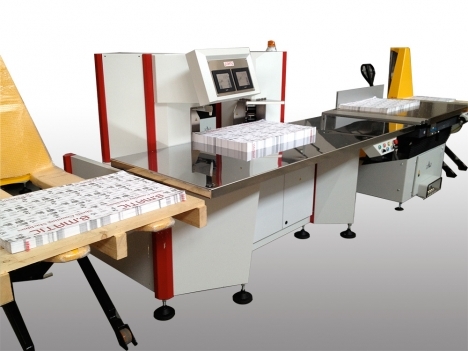 We are glad to invite all of our international customers, dealers and partners to vist us at IPEX 2014, due in London from 24th to 29th March 2014 at the S4 E331 stand, where some of our worldwide delivered paper counting machines will be showcased in cooperation with our local distributor, the ADVANCED DYNAMICS company. 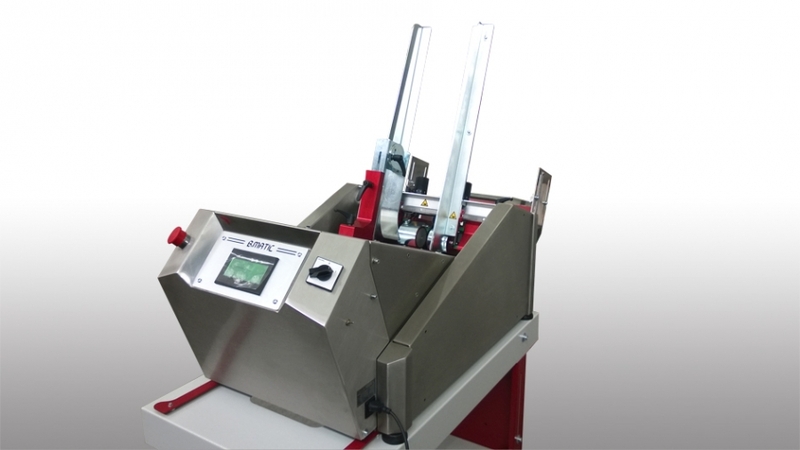 B.MATIC is to exhibit at CARTES 2013, due in Paris from the 19th to the 21st of November 2013.
and innovative F320 COUNTER S, an original friction feeder for plastic cards and the security sector. Great success for B.MATIC paper counters at DRUCK + FORM at SINSHEIN (GERMANY) from the 9th to the 12th of October 2013, in cooperation with the local distributor specialized in after-print equipment, the BINDERHAUS company. 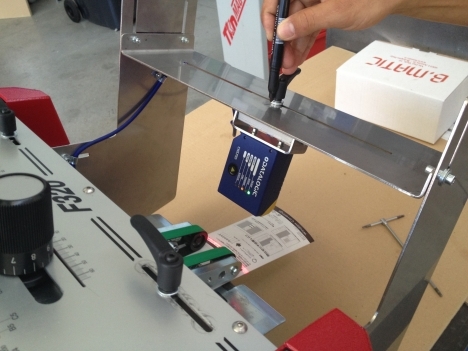 German customers had the opportunity to experience the new PROTEC CM paper counter, gifted with compact structure, steel knock ups integrated into the main body, and touch screen interface. Once again B.MATIC paper counters, thanks to their peculiar care of mechanical details focused on sound construction, have received users' vivid and concrete appreciation. B.MATIC has a long experience in 1D and 2Ds laser scanning applications: in cooperation with a leading Producer of optical detection systems, we can provide the right solution for your job. 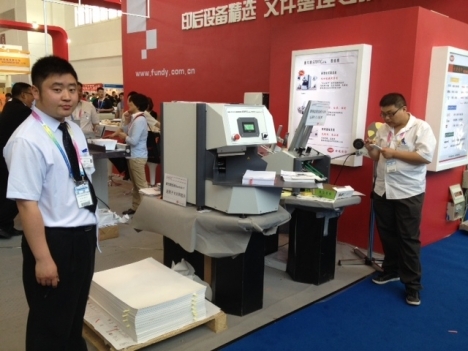 For additional info visit the section of the site for F320 COUNTER "S VISION"
Since it was showcased, F320 immediately turned out to be a great succes. This is why the several accesories that complement the machine could not be missing. The base, compounded of a sound structure, adjustable as regard height, is gifted with a comfortable intermediate flat top, which beside reinforcing the structure can be used as a support for working tools. 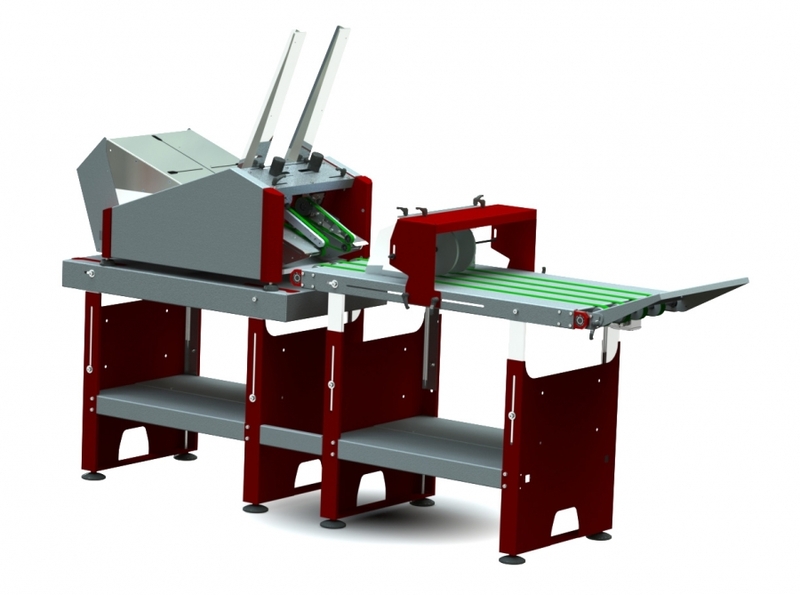 The technological conveyor belt owns several devices which are indispensable for a straight alignment of the material (sheets, envelopes, plastic sheets..),and is connected to the electronic component of the machine, and is not only adjustable as regard height, but can also lean, if necessary. Sold and delivered 2 complitely line to The Italian State Printer "IPZS"
Sheet Counter Twin Head with Automatic Jogger, 1 autolevel upload transpallet and 1 autolevel download transpallet. 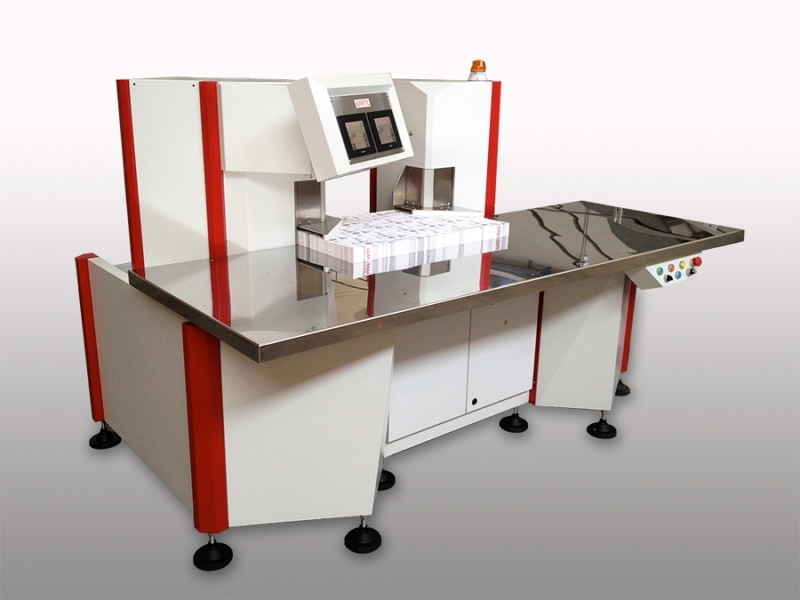 New Sheet Counting Machines "Protec Twin Head"
The new sheet counter machine "Protec Twin Head" is arrived. 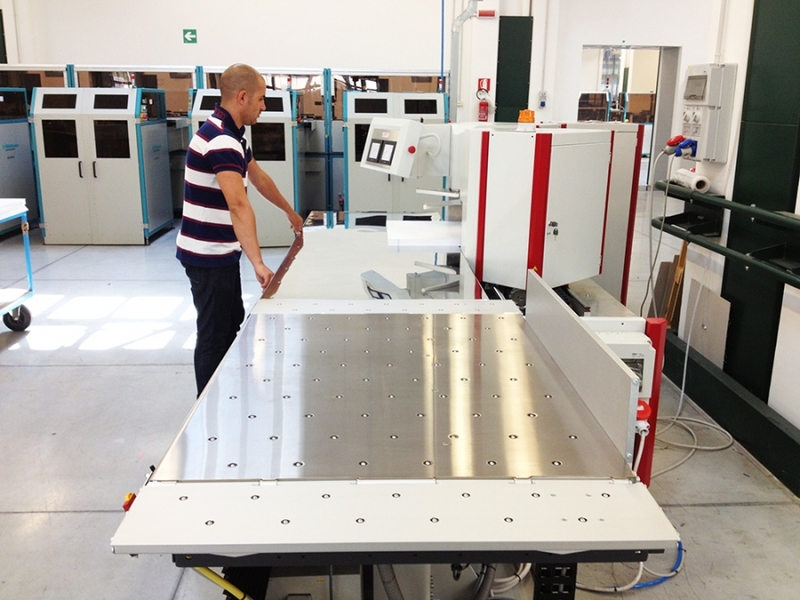 After a big job, we have realized a wonderfull machine. Manifactured with 600kg. of hight quality metal. All linear moviments on rolling ball, brushless motor, double Touch Screen, stainless steel blowing table, very strong machine, ergonomic, easy to use and for the shape we don't have competitor... try to compare. 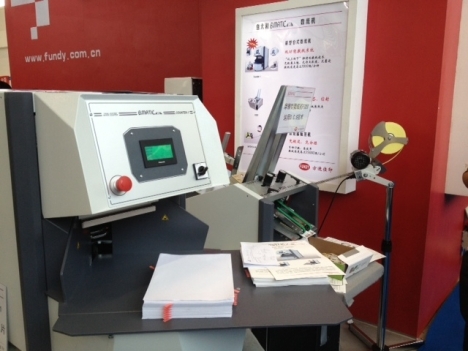 B.MATIC will be present at CHINA PRINT 2013 - Beijing 14th to 18th May 2013 - hosted by our local distributor the company BEIJING FUNDY, booth E2-276. 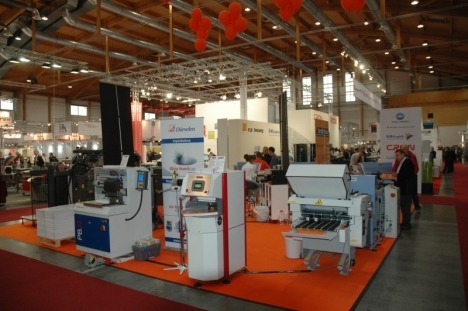 A range of solutions tailored for the Asian market will be showcased.